In today’s fast-paced society, sleep has seemingly become more of a luxury than a necessity. People normally would gladly sacrifice sleep for other things that they consider more important, such as work and social activities. Little do they know that adequate rest and sleep is as equally important as other aspects of their lives, or even more. Over time, they find themselves able to forgo sleep constantly, thinking that they are simply getting used to the routine. However, consistent and continuous sleep deprivation may eventually lead to sleep disorders. Furthermore, there are other things that can also affect both quantity and quality of sleep, such as stress, medications, and even change in sleeping environment. Winthrop-University Hospital Sleep Disorders Center sleep specialist Qanta Ahmed states that insomnia is a complex condition often caused by different factors, and addressing them usually requires change in lifestyle and environment. 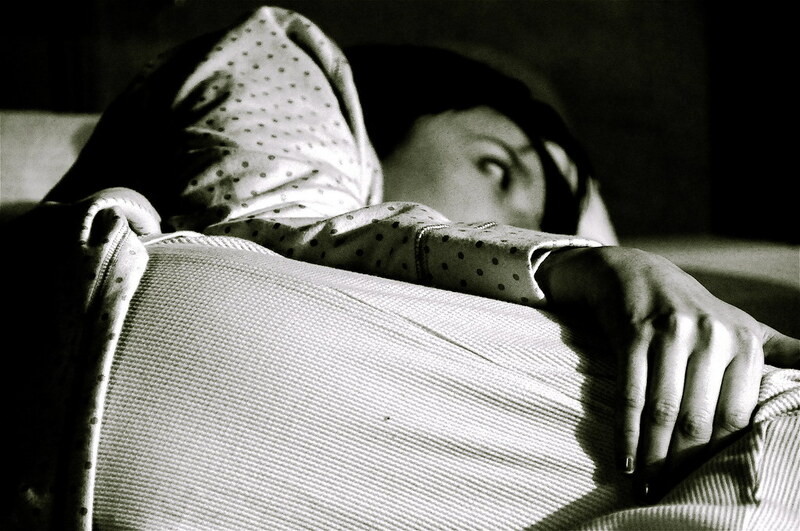 Regardless of the cause, insomnia is still the most common sleep disorder suffered by Americans. In fact, according to the National Sleep Foundation, up to 40% of adults report occasional insomnia while 10% to 15% complain about having chronic insomnia. To treat this problem, experts and practitioners typically prescribe sleep aids and related medications. Natural remedies, which includes changing negative lifestyle habits and taking supplements, are also recommended. In this post, we’ll talk about one of the underrated yet powerful minerals that can help solve sleeping difficulties: magnesium. Magnesium is the mineral responsible for the proper metabolic function of more than 350 enzymes in the body, particularly those in the bones, muscles, and brain. It is so important that a deficiency in this nutrient can make a person twice as likely to die as other people, as stated in a The Journal of Intensive Care Medicine study. Surprisingly though, not many people know about what this element does. Magnesium is basically the relaxation mineral. It can help relax and loosen anything that is tight and stiff in one’s body. It is needed by the cells to produce energy, by chemical pumps to work, by membranes to stabilize, and by muscles to relax. As magnesium is not as widely-known as other elements such as iron and calcium, magnesium deficiency is also not given as much attention. But, the reality is that 65% of people admitted to intensive care units and about 15% of the general public are magnesium-deficient. Insomnia is a common symptom of magnesium deficiency, as well as irritability, constipation, headaches, and fatigue, all of which are very easy to associate with other conditions. Magnesium has a calming effect that can help you relax, unwind, and ultimately, have good quality sleep. It helps balance the nervous system, and thus, it is touted as an antidote to stress. When you are calm and relaxed, falling asleep can be easy. According to research, even a minimal lack of magnesium can deter the brain from settling down at night. Magnesium deficiency affects the ability of the body’s motor nerves to send the correct messages and electrical impulses from the brain to the muscles. So when your brain wants to sleep, your body refuses to, because it received the wrong message and couldn’t relax. Magnesium is also vital for the function of GABA receptors in the brain and nervous system. GABA is a calming neurotransmitter that the brain needs for it to switch off. Without it, your brain remains awake. Low magnesium levels is also associated with the release of certain stress hormones such as norepinephrine. Conversely, when one is stressed, hormones prompt cells to release magnesium into the blood. Eventually, it will be excreted in the urine, causing further deficiency. The more stressed a person is, the more he becomes magnesium deficient. The lower the magnesium level is in the body, the more stressed a person can become. Stress is among the leading causes of insomnia, and lack of sleep can cause further stress. Melatonin is a hormone that mainly regulates the body’s sleep/wake cycle. It is an internal pacemaker that controls the schedule and drive for sleep. When it is at work, it lowers body temperature, causes drowsiness, and eventually helps put the body into sleep mode. It is a common ingredient in most over-the-counter sleeping pills today. However, the reported effect of melatonin in people who experience insomnia is mixed. Some studies show that it helps restore and improve sleep, while others state that it does not help people with insomnia stay asleep, thus, compromising the quality of rest. Magnesium, on the other hand, is a natural muscle relaxant. One of its functions is to move calcium out of the muscles and back into the bloodstream, thus mobilizing it and letting the muscles loosen. As your muscles relax naturally, you can get into a sleepy state more easily. Today, it is very easy to become magnesium-deficient. Many people have a highly-processed and refined diet that lacks magnesium such as white flour, meat, and dairy. Too much coffee, soda, sweetened drinks, and alcoholic beverages can also drain your body of magnesium. By eating magnesium-rich food, you can reverse the bad effects of an unhealthy diet and help yourself to sleep better. Among these are wheat bran, wheat germ, broccoli, cashews, almonds, brazil nuts, soy beans, brown rice, avocado, parsley, beans, barley, garlic, figs, dates, collard greens, and spinach. Furthermore, you can also take magnesium supplements. The recommended daily allowance for magnesium is about 300mg a day. However, most have less than 200mg in their bodies. Taking 400-500mg of magnesium reportedly works for most people. Aside from eating foods rich in magnesium and taking recommended supplement doses, you can also maximize the benefits of this mineral and ensure better sleep by adopting other natural remedies and helpful habits. If you actively exercise, do it in the morning. Studies suggest that those who exercise at moderate intensity for at least 30 minutes in the morning have less trouble sleeping at night. You should also keep your bedroom as tranquil as possible. Turn off the TV and all other appliances. Turn off electronic devices such as computer and cellphone. Don’t let your bedroom get too hot or too cold, as sleep can be disrupted by extreme temperatures. You should also consider buying a good mattress. You spend about a third of your life in your bed, so it’s worth investing in. A memory foam mattress, for instance, can support every part of your body including your spine and helps relieve back pain, and reduce stress on your hips and shoulders, thus paving the way for enhanced comfort during sleep. Orthodontic and other therapeutic bed mattresses are also available in the market. Indeed, there are a lot of things that can keep you from getting some quality shut-eye. Fortunately, there are also a number of things that can help retrieve the rest and relaxation opportunities that you have lost. By giving your body its needed amounts of important minerals such as magnesium, and pairing it with healthy habits, you will be able to sleep better again.